Ori Carino was born in a loft and functioning art gallery on Houston Street in Manhattan, New York, in 1982, and raised among several pivotal artists of the 1980s Post­DaDa art movement of the Lower East Side. By 12, Carino was painting murals in the street, notably painting his murals on Mars Bar series from 2002­-2011. 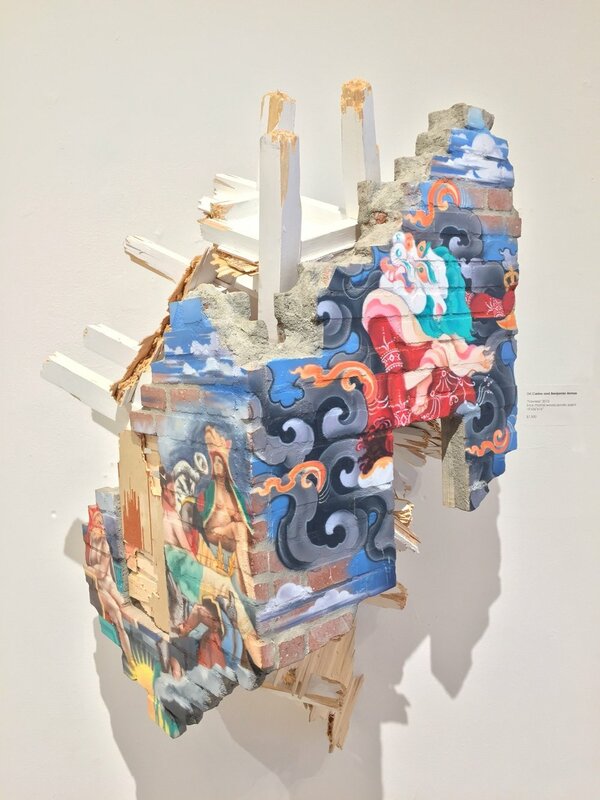 He went on to study painting and installation at the School of the Museum of Fine Arts, Boston, producing his first major Brick Sculpture in his Block 421 Project (2003). His work is in several important collections including the Pao Collection in Hong Kong and the Venet Collection in New York. In 2007, Carino met artist Benjamin Armas and began producing collaborative work in sculpture, installation, and painting. Benjamin Armas was born in Caracas, Venezuela, in 1985 and emigrated to New York in 1996. Armas comes from a family of noted artists, including his grandfather, writer and critic known as the master of the modern fable, Alfredo Armas Alfonzo. He studied Architecture at the Pratt Institute, Brooklyn, New York and has since worked on building projects, sculpture, photography and installations.